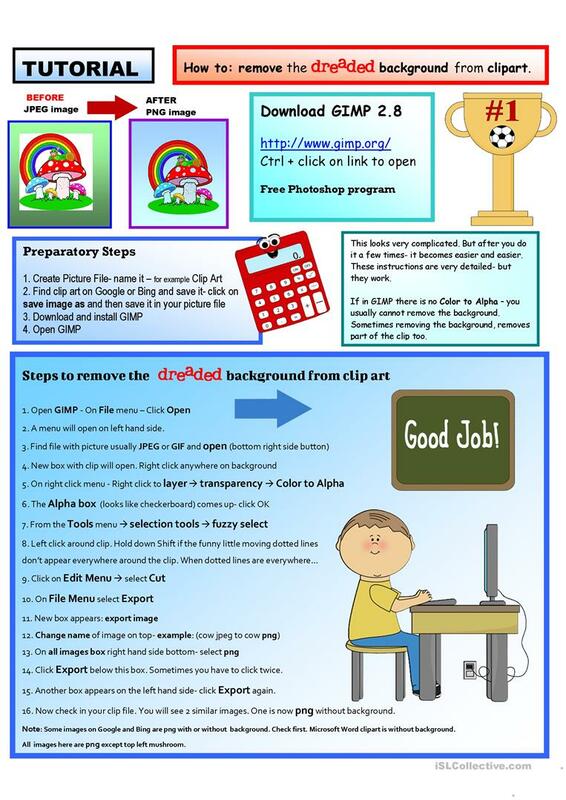 A detailed explanation about how to remove the dreaded background in clip art. Once the background is removed the clip art is much easier to work with and much more attractive. Note: You can request on Google clip art png, which has a transparent background. The above downloadable printable is best suited for business/professional students, high school students and adults at Upper-intermediate (B2), Advanced (C1) and Proficient (C2) level. It was designed for enhancing your class' Reading skills. It is about the vocabulary topic of Computers & Technology.